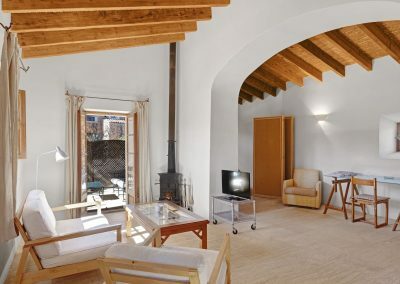 If what you want is a more exclusive experience, either to spend romantic days with your partner or a holiday with your children, we have an apartment (casita) that will allow you to enjoy a more intimate experience, or where your children can enjoy quietly playing in the countryside. 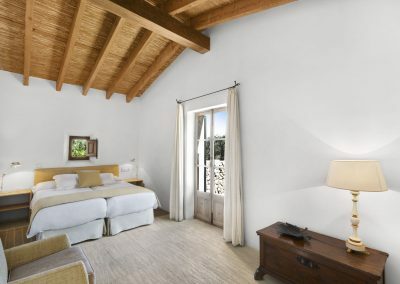 It is an old cottage whete the workers ( who looked after the finca and the vineyards) used to live. 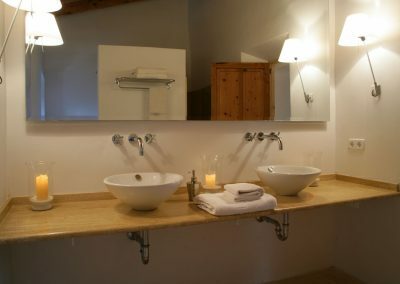 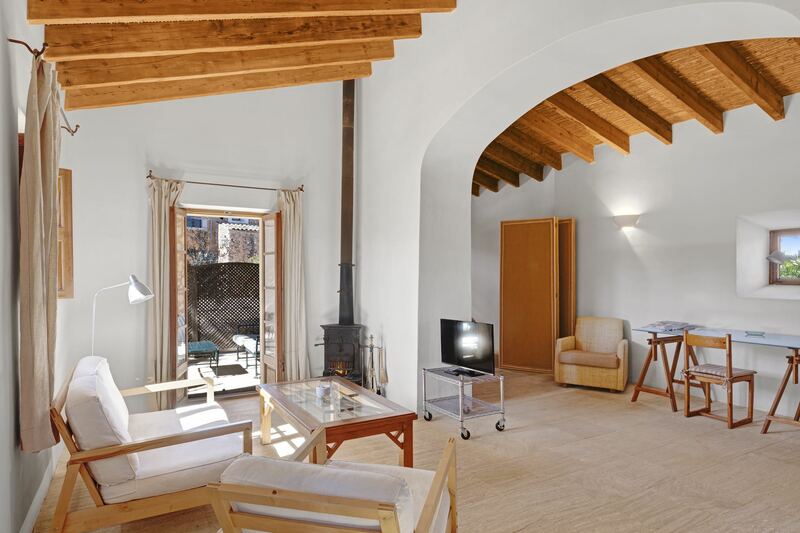 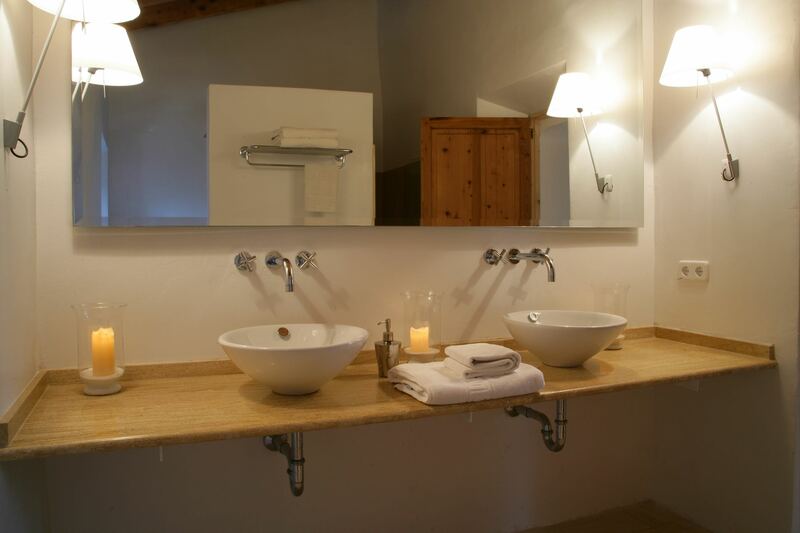 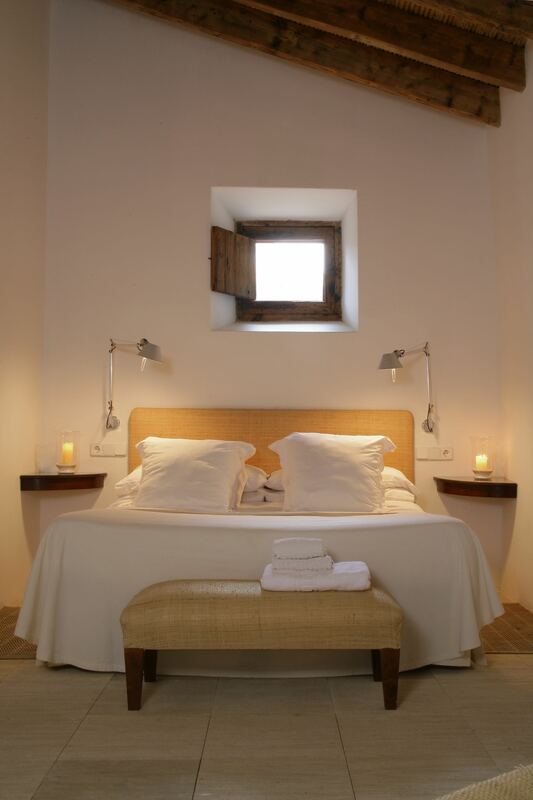 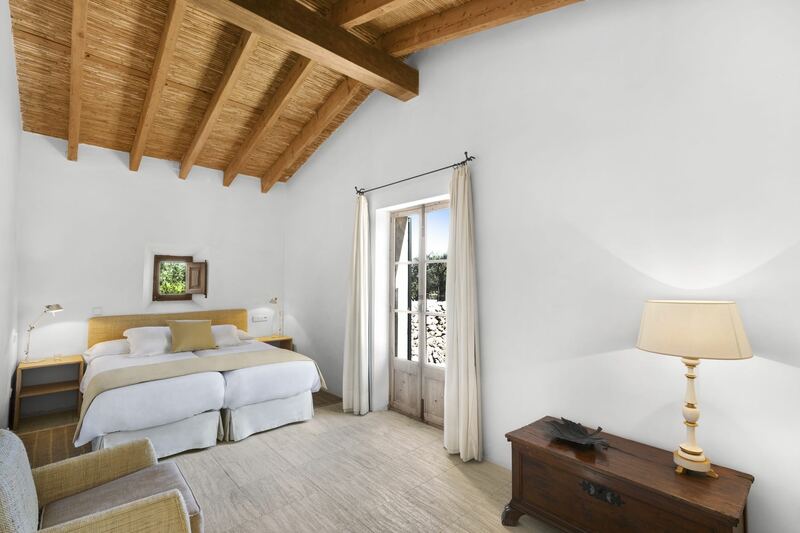 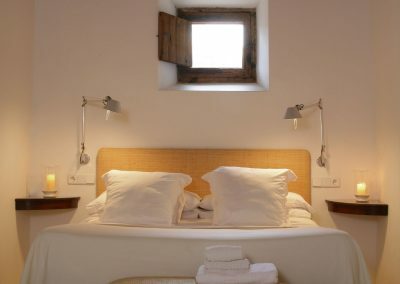 It has been refurbished and decorated with such taste that you would find it in contry living magazines, combining its stone walls with old and new furniture together with mallorcan fabrics. 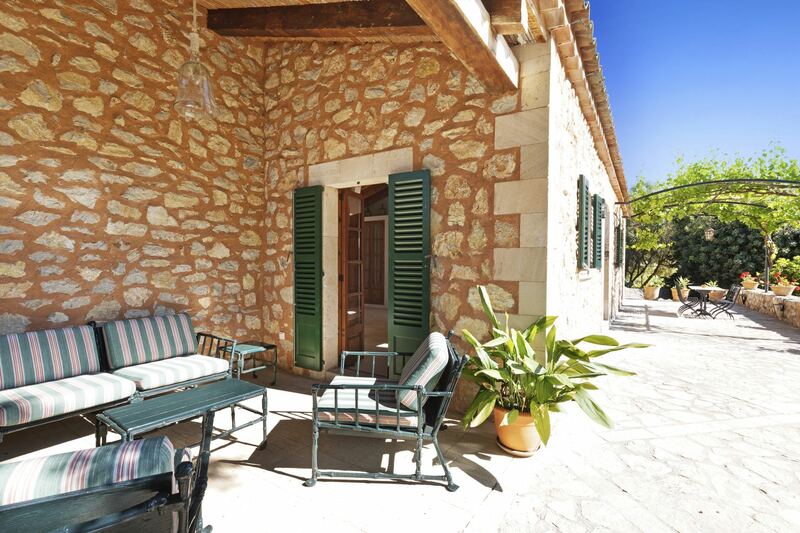 The Cottage will enable you to enjoy more privacy or simply allow you to relax while your children play hide and seek in the surroinding fields.